Visit Mailgun.com and click Sign Up. Fill the form. 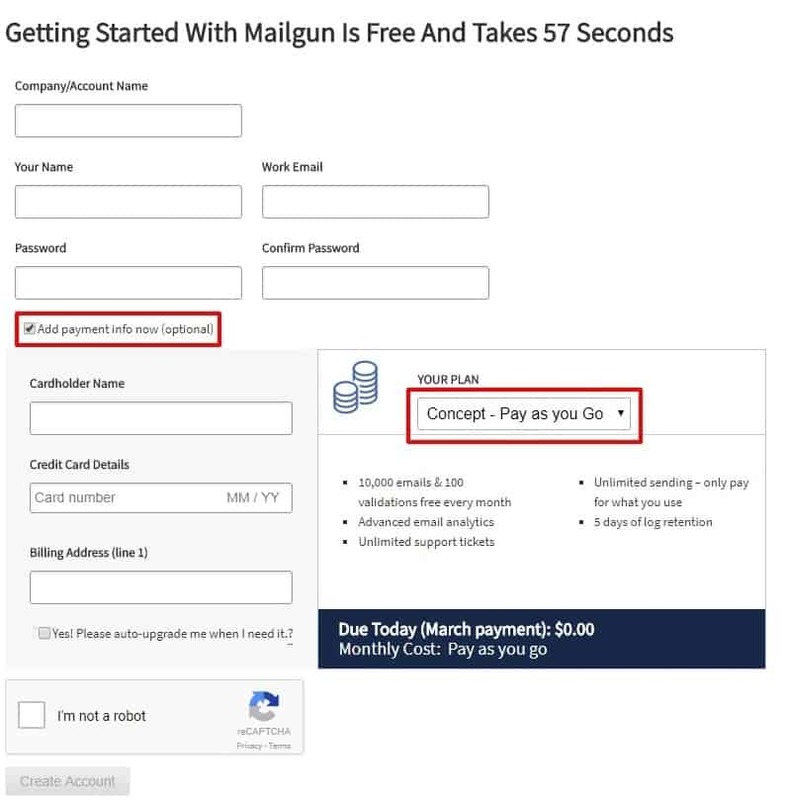 It is important that you leave ‘Add payment info now‘ checked: to be able to send emails, you need to attach your credit card to your Mailgun’s account. In the dropdown menu choose ‘Pay as you go’ as your plan. You will not be billed unless you send more than 10,00 emails per month. Click Create Account. 2. On the next page click Add Your Domain and enter your domain name. 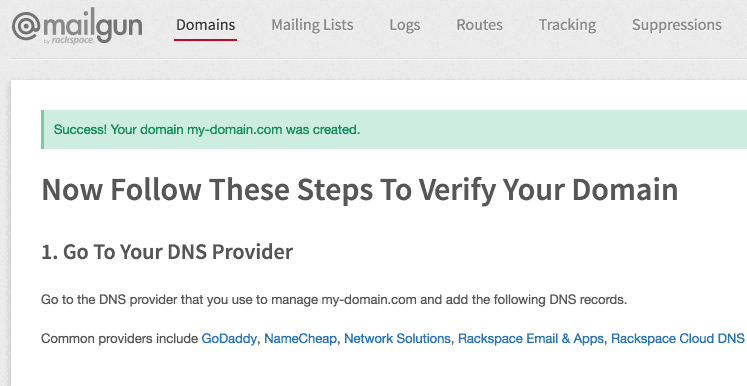 Then follow the instructions on how to verify your domain name. Click Continue to Overview and find your API Key. 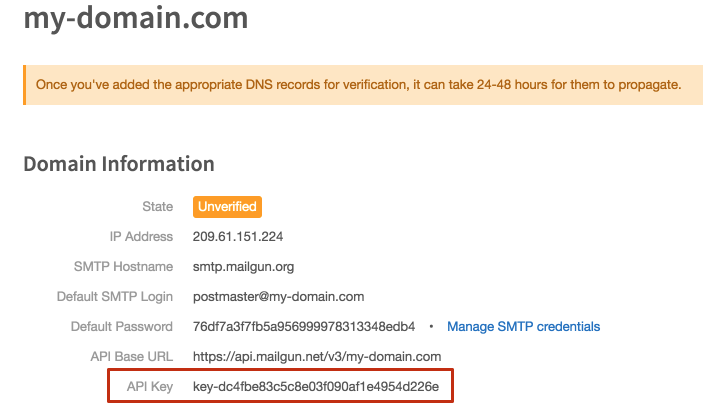 Copy your API Key and paste into Plugin settings with your domain name. 3. The last step is to verify your account. 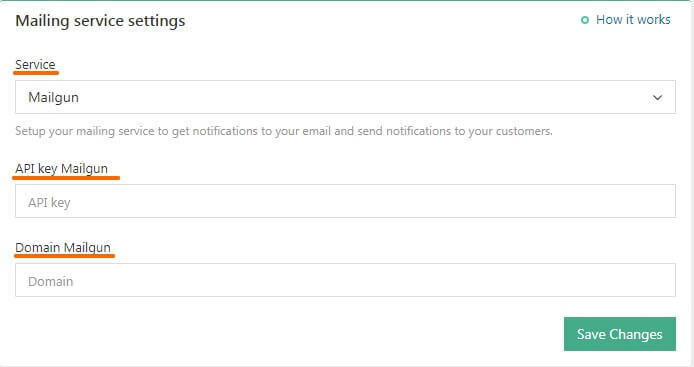 After getting and setting your API key, you will receive a set of questions. Please send your answers so that Mailgun can complete verification your account. Your account should be verified and activated within 24 hours after your answers are sent.